A number of years ago I had the pleasure of working with a few Irish clients and, consequently, found myself frequently dining at Irish restaurants. There was plenty on the menus to suit my taste but the soda bread was never particularly interesting to me. Last year, however, an Irish colleague brought a soda bread into the office and I was fortunate enough to get a small piece before it was set upon and devoured as if by a pack of ravenous wolves. The bread was actually made by a friend of hers and it was unlike any I'd had before. The friend's version was light and subtly sweet. It wasn't quite a cake but maybe almost scone-like. I loved it and could have happily eaten the whole loaf... well, except for the wolves. I tried, unsuccessfully, to get the recipe but now I'd really worked up an appetite for this bread! So, I started reading through lots of online recipes to see if any resembled what I'd tasted. So I started with an internet recipe that seemed the closest and began to modify it until it came closest to the bread I remembered. I'm not sure which version of Irish soda bread is technically correct but I do know what I find delicious. We'll be feasting on this tasty loaf all weekend, assuming it actually lasts that long. Happy St. Patrick's Day and enjoy! 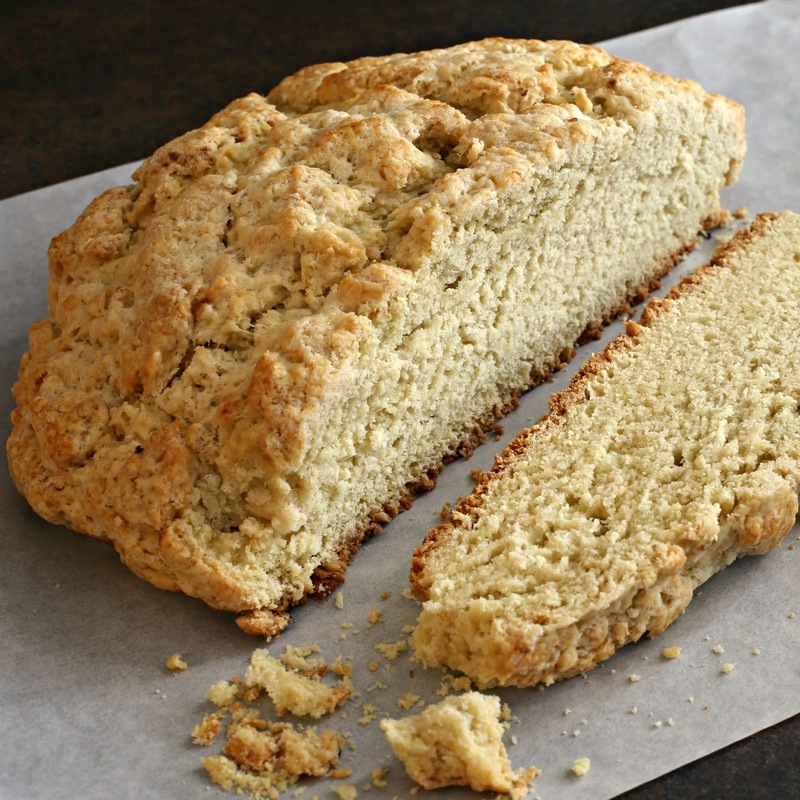 Recipe for an easy, sweet Irish soda bread. In a large bowl, combine the flour, sugar, baking soda, baking powder and salt. Cut in the butter using a pastry cutter or fork. You can also grate the butter on a large box grater. Gently work it into the flour until incorporated. In a separate bowl, add the egg and cup of buttermilk and whisk to combine. Pour into the flour mixture and stir to combine. Turn the dough out onto a lightly floured surface and knead slightly. The dough is not sticky and will come together fairly easily. Form the dough into a round and place on a baking sheet lined with parchment paper. In a small bowl, combine the 2 tablespoons of melted butter and buttermilk and brush onto the dough. Using a knife, cut an 'X' into the top of the loaf and place on a baking sheet lined with parchment paper. Bake for 45 minutes or until a toothpick inserted in the center comes out clean. 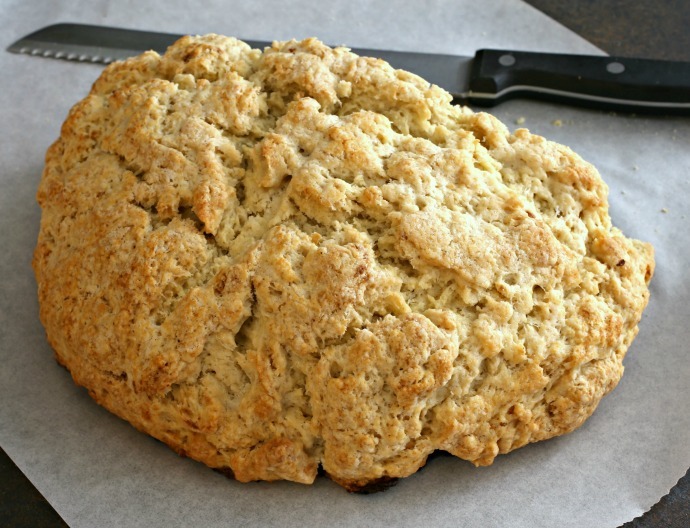 I love good soda bread. This recipe looks like it could be vert tasty. I don't think I have ever had or made soda bread. Quite apropos for the upcoming St. Paddy's Day! Saving this and buzzed ya too. I have not tried soda bread before. This looks good. Oh this looks so delicious! 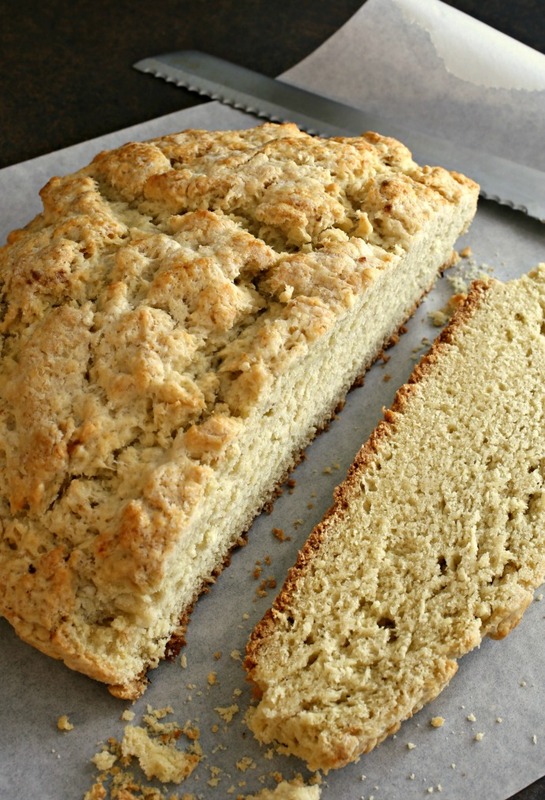 I love soda bread, one of my favorite! Great recipe!!! Oh this bread looks delicious! I've never made soda bread before.